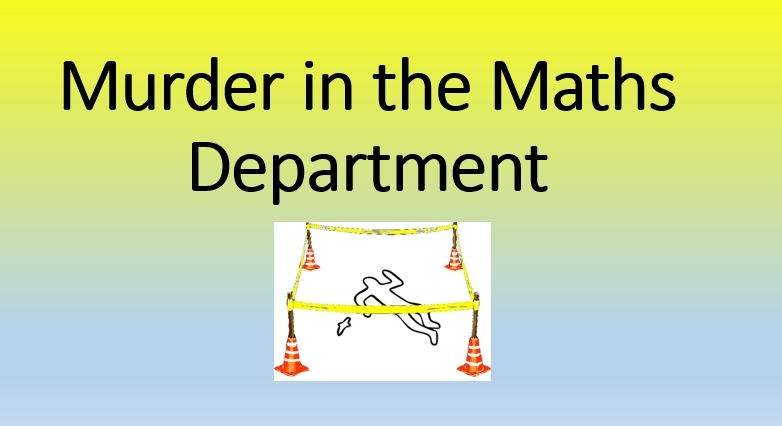 A murder has been committed in the maths department! A body has been discovered surrounded by mathematical objects and only the hardworking maths teachers were in school, doing long division sums for fun at the weekend. One of them must be the murderer. When you have solved this clue – click here, and enter the last word only of the decoded message (no capital letters). Important. If you are sure your password is correct and it doesn’t load, click the refresh button – that works for some reason! Students who solve the entire mystery will be added to the leaderboard of fame.